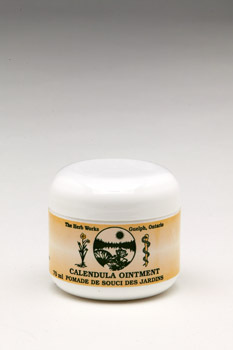 This is a most wonderful soothing and relaxing liniment for pulled muscles, sore backs, bruised calves, sciatica, and is of moderate – to significant assistance in shingles. 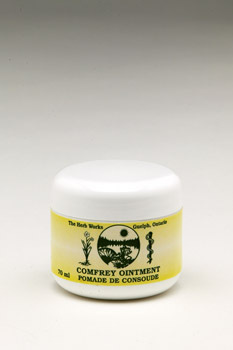 This embrocation is made from either wild-crafted or (certified) organic St John’s Wort – notably the top 3-4 inches that have the most flowers that contain the hyperforin and hypericin: the two essential compounds that provide the anti-spasmodic, relaxing and calming effect. Use liberally for those occasions that require its use; however, be prepared to cover the affected area with muslin or loose cotton cloth, covered in turn by plastic sheeting. The base – as noted is an oil; thus this will stain affected clothing, bed-sheets, etc. We suggest wearing old / minimal value clothing where & when needed. NOTE: store out of light in a cupboard or cool place. 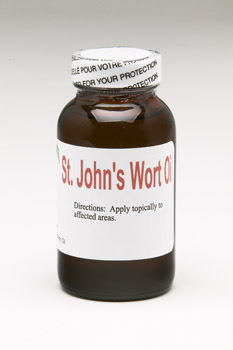 Ingredients:	St John’s Wort, Olive Oil. Suggested Dosage:	Apply as needed to affected area(s).